Chicago friends! 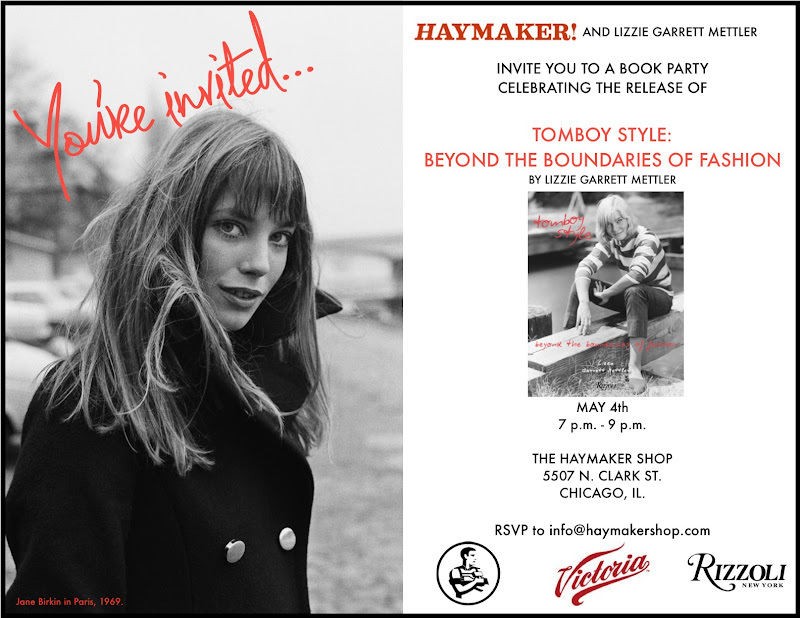 Please join us Friday night at Haymaker Shop for a Tomboy Style book party in the Windy City! You don't come to Europe, do you? Oh wish i could be there too! Have a good time! maybe you could share some images with us. Can't wait to meet you, Lizzie! We're so happy to be hosting this radness at the shop! See you tonight! Oh, man! I'm so sad I missed this.